03 Greedo and DJ Mustard return with another project. 03 Greedo and DJ Mustard are currently gearing up to release the Wolf Of Grape Street rapper's first project since turning himself in to authorities last year. Still Summer In The Projects is set to drop at the top of April but before its release, the rapper and producer drop off another cut off the record. 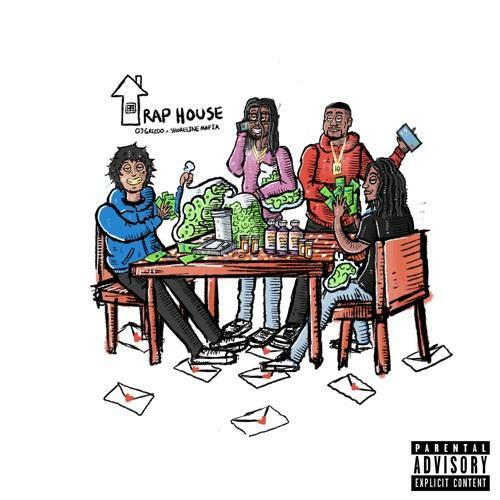 03 Greedi and DJ Mustard join forces with Shoreline Mafia for the new single, "Trap House." Greedo and Shoreline link up over a bouncy Mustard production for the track. Greedo's delivers infectious melodious through his autotune-laden vocals. Shoreline Mafia's Ohgeesy and Rob Vicious deliver verses on the track about getting to the money in the trap house.